Anchorage is Alaska’s take on a metropolis: The city is the Last Frontier’s largest, and its population constitutes more than 40 percent of the state’s. While other, smaller Alaskan towns trade on natural beauty, Anchorage offers a bevy of genuinely fun, hip, and cool things to do. Here’s our guide on what not to miss on a short stay in town. Breakfast: Snow City Café – Locals line up to start their days at this health-conscious spin on a greasy spoon. For a true taste of Alaska, munch on the Ship Creek Benedict, a traditional eggs Benedict that substitutes house-made salmon cakes for ham. 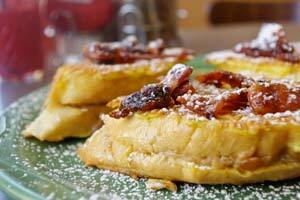 If you prefer a sweet breakfast, try the fluffy pancakes or the French toast stuffed with mandarin orange cream cheese. Lunch: Moose’s Tooth Pub & Pizzeria – Gourmet pizzas are the big draw at this upscale pub; the menu boasts nearly two dozen options, such as the Solstice, which is topped with roasted chicken, portobello mushrooms, sundried tomatoes, and provolone cheese. Another fan favorite is the microbrewed beer; growlers of locally produced Broken Tooth are available for carryout, if you care to savor the brew aboard the ship. Dinner: Marx Bros. Café – Don’t let the size of this downtown eatery fool you; the place might be tiny, but the flavors are huge. Chef-owner Van Hale specializes in Caesar salad —his recipe is so renowned that he offers classes across the state in which he teaches nonculinary types how to replicate the dish at home. Dinner menus always feature freshly caught fish; Hale works with local fishermen to get the catch straight from the boats. Dessert: Sugarspoon – Whimsy meets wonder at this fun-loving bakery. Traditional options include profiteroles and crème brulee, while more adventuresome items include a sundae with pumpkin ice cream, and a peanut butter-and-jelly tart. Depending on what time you visit, Sugarspoon also may offer brownies, cannoli, or fudge. Our advice? Get there early. Tip: Yearning for Alaska-grown produce? Pick up a taste of the Last Frontier — and maybe a souvenir while you’re at it — at the downtown Anchorage Market & Festival, open Saturdays and Sundays. Watch the coast for animals as you kayak. For Everyone: The Tony Knowles Coastal Trail – This 11-mile footpath, which runs along the shores of Cook Inlet, offers scenic views of Mount Susitna and — if you’re lucky — elusive Mount McKinley. In summer, when the sun is out until 11 pm, be sure to watch the water for breaching whales and leaping salmon. For a real workout, rent a bicycle from one of the vendors on the corner of 5th and L Street downtown, and pedal all the way to the southwest end of Kincaid Park. For Couples: Alyeska Aerial Tram – Get an eagle-eye view of Turnagain Arm as you ride this attraction 2,300 feet from The Hotel Alyeska to the top of Mount Alyeska in Girdwood. At the summit, enjoy the outlook from the observation deck, or grab lunch or dinner at Seven Glaciers, an award-winning restaurant with a view. 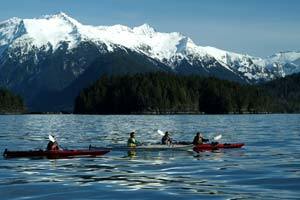 The ski resort town is located about 30 miles south of Anchorage along the Seward Highway. For Families: Anchorage Museum at Rasmuson Center – This modest, but growing, museum introduces visitors to the uniqueness of Alaska through three distinct disciplines: art, history, and science. Permanent exhibits include galleries with artifacts from local Native American groups, a variety of paintings, and interactive explanations of scientific phenomena such as tectonics and liquefaction. The BP Kinetic Space lets kids try out an air cannon, while the Tote Kidspace offers dollhouses and other toys that invite imaginative play. For the Adventurous: Kayak – Situated 30 miles north of Anchorage in Chugach State Park, Eklutna Lake State Recreation Site is a calm and quiet spot to paddle. Lifetime Adventures, a local outfitter, offers two-hour, half-day, and full-day rentals, as well as occasional guided tours. From the water, scan the shore for moose and bear — two of the larger species that have been known to frequent the area in warm-weather months. Back on shore, have a picnic in the shadow of Raven Glacier. Tip: Located in the parking lot of Chilkoot Charlie’s, a popular Anchorage watering hole, the Thursday-only Spenard Food Truck Carnival offers everything from cupcakes to BLTs. Alaska weather can change quickly; even if it’s warm in the morning, clouds can blow in by afternoon. If you end up needing more warm clothing, stop by 6th Avenue Outfitters or Army Navy for time-tested outdoor gear with Alaskan roots. 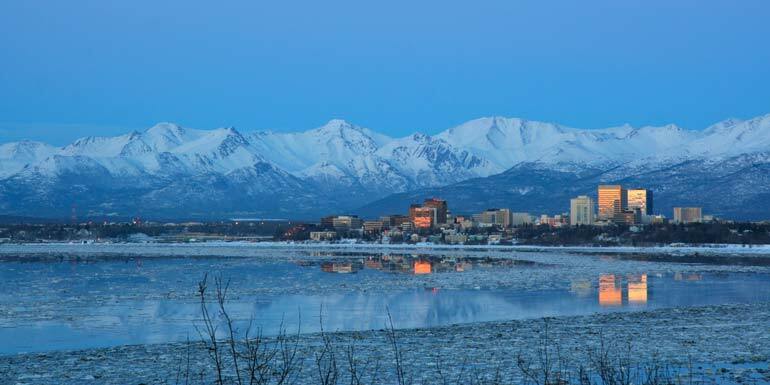 What do you like best about Anchorage?